Earn 889 points to spend on future purchases. The DreamStation Go Auto uses the same premium auto-adjusting technology as it's bigger sibling the DreamStation Auto. DreamStation Go monitors your breathing for flow limitations and adapts to them, automatically adjusting therapy throughout the night to ensure you're receiving the optimum pressure for a comfortable and successful sleep. Clinically-proven A-Flex pressure relief technology built into the DreamStation Go enhances traditional positive airway pressure therapy to improve comfort and increase compliance. The A-Flex technology allows DreamStation Go to deliver just the right amount of pressure relief, at the beginning and end of every breath, providing a more natural breathing, and sleep therapy, experience. In addition to A-Flex, DreamStation Go is equipped with Mask Fit Check tool to help with mask fitting, a Performance Check tool to ensure that your machine is working properly, and Auto On/Off capabilities to automatically start and stop therapy when a user puts on or takes off their mask. DreamStation Go tracks, and adjusts therapy levels to respond to, many common OSA related events including Hypopneas, Flow Limitation, Respiratory Effort Related Arousal, Snores, and Leaks. In addition it can detect many symptoms beyond classic OSA -- such as clear airway apneas and periodic breathing -- that may indicate the need for specialized therapy. One of the most unique features of the DreamStation Go is the built in USB port which lets you plug a phone or other small electronic device into the DreamStation Go for charging. It's great for eliminating extra cords at home or on the road. The DreamStation Go was built from the ground up to make therapy tracking and compliance easy and understandable for patients and doctors. Each device comes with Bluetooth built-in and an SD Data Card pre-installed for data storage. After each sleep session the DreamStation Go displays a Sleep Progress report on the LCD screen. The Sleep Progress report shows nightly usage over the past 3 sleep sessions as well as summary data from the past 30 days. More detailed information is also available within the "My Info" section of the device or via the free DreamMapper App (iPhone, iPad & Android). Micro-flexible tubing is an added benefit of the DreamStation Go sleep therapy device. 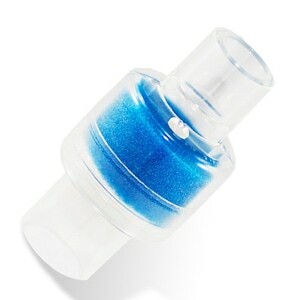 This improved tubing is the smallest tubing Respironics offers and it successfully minimizes bulk and weight on the bed. Micro-flexible tubing is 58% slimmer than standard CPAP tubing. 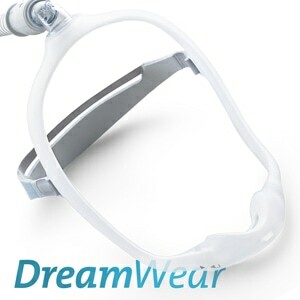 The Micro-Flex tube snaps easily onto the DreamStation Go for a secure fit and it is compatible with any CPAP mask as well. If you spend time camping off the grid, or you want to sleep on the road or while kicking back in a plane, the DreamStation Go's integrated battery is the power solution you need. DreamStation Go's battery snaps onto the CPAP device to create a single integrated unit with an average run time of 13 hours between charges; and you can even plug your phone into the USB port on the DreamStation Go device so it will stay charged up as well. Many sleep therapy users appreciate the added moisture and humidity provided by heated humidifiers; but most travel CPAP machines don't offer true water based humidifiers or the solutions offered are too big and bulky. 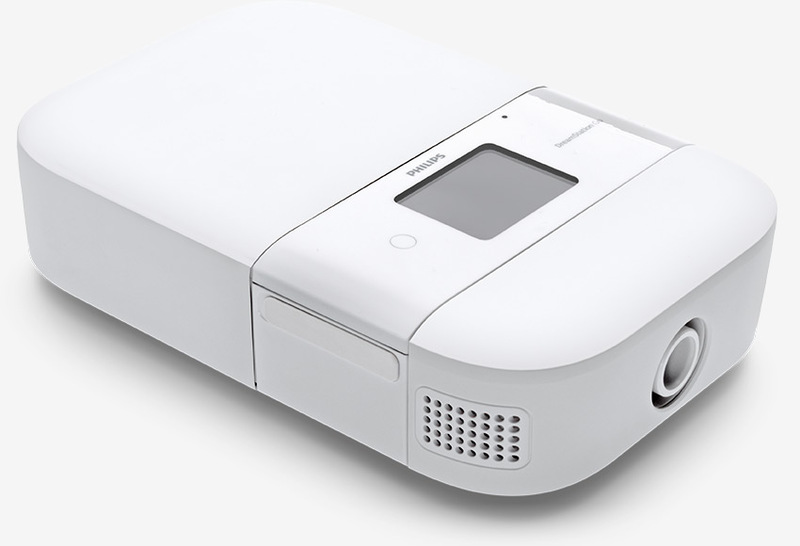 The DreamStation Go Heated Humidifier solves these problems with a tightly integrated unit that snaps securely onto the DreamStation Go device to form a single unit that can be set up and adjusted from the machine's primary touch screen display. The DreamStation Go heated humidifier weighs less than a pound when empty and fits nicely into Respironics medium travel kit when attached to the CPAP. In addition it can be used with tap water, distilled water or bottled water making it one of the most convenient, capable humidifiers on the market. In the Package DreamStation Go Portable Auto CPAP, BlueTooth, Reusable Foam Filter, 6-Foot Micro-Flex Tubing, North American Power Cord, Printed Users Manual, and 2-Year Manufacturer's Warranty (APAP Only). 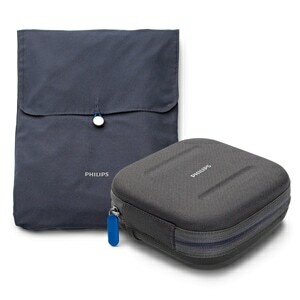 Carrying Case, Battery Pack, and Additional Options Available in Shopping Cart. Intended Use The Philips Respironics DreamStation Go systems deliver positive airway pressure therapy for the treatment of Obstructive Sleep Apnea in spontaneously breathing patients weighing over 30 kg (66 lbs.). It is for use in the home or hospital/institutional environment. 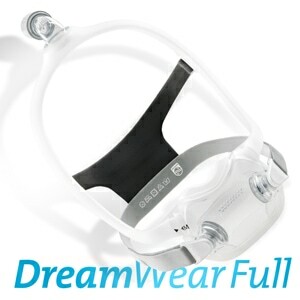 DreamStation Go Auto CPAP is FAA Approved This product is approved by the FAA for use on all commercial flights within the US and all international flights that depart or arrive in the US. Click here for TSA / FAA information on traveling with sleep and oxygen therapy. Always contact your airline prior to your flight to confirm any requirements they may have (i.e. a copy of your prescription or a letter of medical necessity) for allowing your device on board. Data Storage Lifetime on Optional MicroSD Data Card; Over 1-Year On-Board. Humidifier Settings Fixed Humidification = 0 Off to 5 Maximum; Adaptive Humidification = Auto or from 4 to 10 Hours in 0.5 Hour Increments. Battery Notes Periodically charge the battery pack if not used regularly. For best performance DreamStation Go Overnight Batteries should be fully charged prior to first use. Batteries recharge when connected to AC Power; either separately from the DreamStation Go device or when attached to the device in UPS mode. For complete care and use instructions, refer to the manual that came with your device. 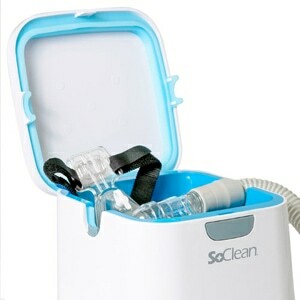 The DreamStation Go Battery cannot be used when the DreamStation Go Heated Humidifier is attached to the CPAP. This DreamStation Go is perfect for my traveling. I cannot believe how small this is and I no longer need to haul around my other CPAP which is much larger and bulky to haul around. This is so small I have trouble figuring out where to put it!! It fits perfectly in my backpack, so I only have one carry-on at the airport now. There is a small pouch to put the cord, hose and mask in. The case for the unit fits perfectly and I can stuff it just about anywhere now. My other unit is a DreamStation also and the app for it allowed me to add this unit via bluetooth with ease. Both units are now in my app and the data gets pulled from whichever unit I am currently using. Pretty slick. It seems to work basically the same as my main unit. There is no water reservoir on the Go unit, but I don't feel like it is drying me out as I thought it might. Maybe a little but barely can tell. So far, it is working great. I have no need for the battery right now, but good to know one is available if I ever go camping again! and both my wife and son commented on the quietness of the new unit. I also like that I don't have to fool with water... as a leak in previous model prompted this purchase. Needs humidity, otherwise fantastic! Love that it is universal. Quiet, small, light, and feels good to my airway, except dryness. Used a travel humidifier to treat air as it entered, and helped. Waiting for dream humidification!! I never thought I'd say that a CPAP was beautiful; but really this one is. It just looks like everything was thought out and planned to perfection. This might be the first Respironics CPAP that really works like it is from Phillips. Loving the battery pack too and can't wait to take it to Europe this fall.